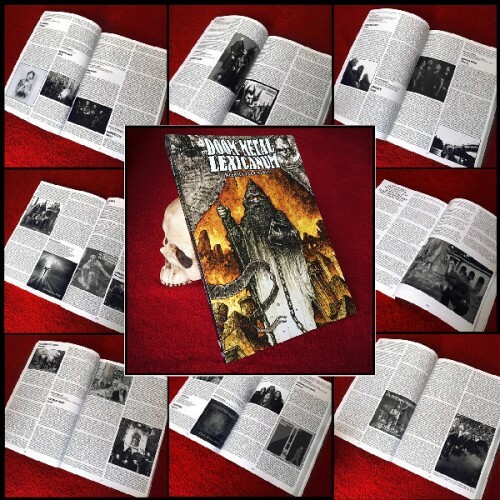 Cult Never Dies and Crypt Publications proudly present our first work dedicated to doom metal, the truly epic and encyclopaedic work known as the DOOM METAL LEXICANUM by doom fanatic Aleksey Evdokimov. Featuring a massive 300,000 words, our first tome dedicated to doom metal focusses on the traditional side of the genre and explores traditional doom, stoner doom, epic doom, and various related hybrids. Truly massive tome with 300 large format (A4) pages! 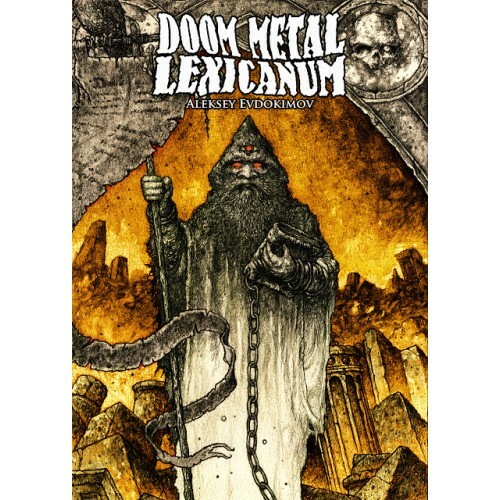 Written by Aleksey Evdokimov (doom-metal.com, Temple Of Perdition, No Clean Singing, Outlaws Of The Sun, InRock, Fire) with additional input from Mike Liassides (doom-metal.com), Tana Haugo Kawahara (Eternal Elysium) and Sami Hynninen (Reverend Bizarre). Editing and some additional text by Dayal Patterson, plus exclusive cover illustration by David Thiérrée (Behemoth, Mortiis).